Other software cuts quickly only between “keyframes”. However, Bandicut is able to cut quickly between “any frames” that the user selects. 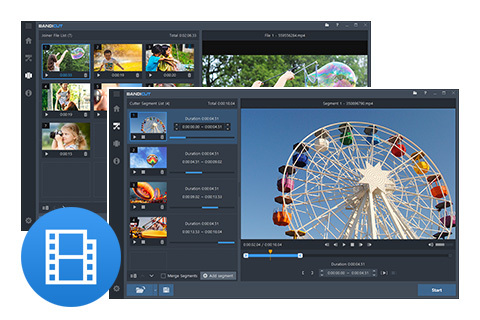 “High-speed mode” allows the user to cut a video precisely without re-encoding, as a result the quality is lossless and the cutting speed is faster than any other software. “Encoding mode” allows re-encoding if the user wishes to change the codec, resolution or quality of a video according to their needs.